The Sony Bravia OLED A1 is arguably the best television on the market today. When money isn't a constraint, this is the television to buy. With two of the top three TV makers selling OLED televisions, the technology has officially arrived in India. While the Sony Bravia A1 is still expensive, it’s considerably cheaper than LG’s Signature E series OLED televisions. We are yet to test the 2017 OLED E7 from LG, so we can’t proclaim the Sony television as the best just yet, but, the Sony Bravia A1 is certainly the best we have tested so far. That said, Sony’s television is not without its faults, and it’s high pricing puts it out of reach for most of us. Nevertheless, here’s hoping OLED technology makes it to more affordable prices in years to come. The OLED A1 is expensive right now, but it’s a testament to what televisions should be in the near enough future. As far as design is concerned, the Bravia A1 has a simplistic facade. But, that probably makes it the most stylish television out there, even more so than Samsung’s curved panels. From the front, the A1 is almost literally all screen, and it’s tilted backwards by about five degrees, to present a canvas like feel. 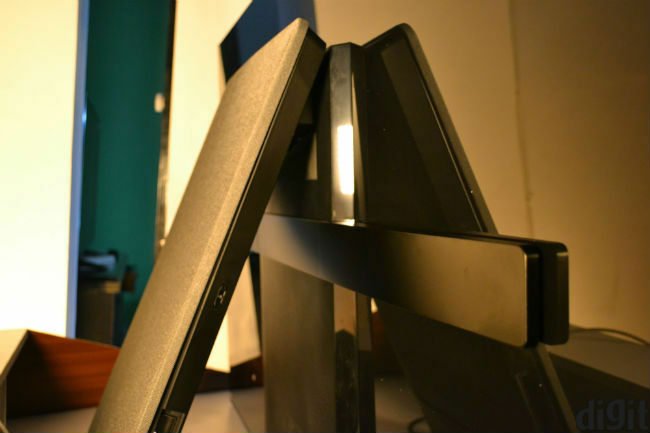 The TV is supported by a kickstand behind it, that is only visible from the sides and the back. If you’re buying this TV, don’t wall mount it. It looks best on top of a table. 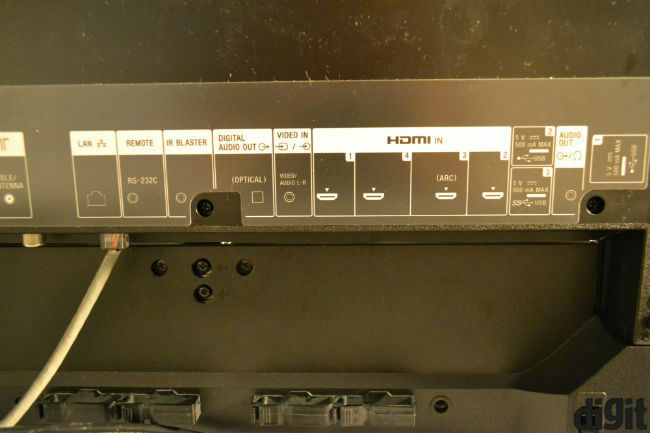 The kickstand also houses all the ports for this television. You will have to remove the net-like cover to get to them first, and they’re all downwards facing, making them tough to reach. The Bravia A1 is designed to have devices attached to it permanently. There’s a single USB port facing outwards on the left of the kickstand. This is the only port that’s easy to reach. The kickstand cover is open from the bottom, and it hides wires to some extent. Again, if you’re buying this television, showing a mess of wires would truly be blasphemous. From the front, the Bravia A1 has a thin lining running around it, but it’s all screen for all intents and purposes. The 65-inch facade looks pretty and immersive. The kickstand rests firmly on desks and there’s no wobble in the entire unit. Simply put, the Bravia A1 may be the simplest, but best looking television on the market today, at least in our opinion. While the Bravia A1 has ample ports (at least by industry standards), the only real complaint is how they’re placed. They would have been much simpler to reach had they been on either side of the kickstand. Instead, Sony has made them bottom facing, making things quite difficult and frustrating. Sony is sourcing OLED panels from LG for the Bravia A1, although the company’s X1 Extreme processor plays an important role in picture processing. This is the same processor Sony used on its flagship television last year, and the Z9D was certainly our favourite then. The A1 supports both HDR and Dolby Vision technologies. All that comes together for innovative picture quality. I usually start watching HD and FHD content on these televisions, to check the upscaling engine. Sony does that extremely well, although I’d warn users against turning on the motion effects on the TV (which are turned on by default). Picture looks unnaturally smooth when this is turned on, although colours, contrast and even brightness are simply spot on. That, despite the fact that the Bravia A1 seems somewhat dimmer (in bright lighting) compared to the QLED Q8C from Samsung, although Sony does promise 1000 nits brightness on this panel. Our contrast ratio tests returned results of over 180,000:1 on 50% brightness, which is over double of the LG OLED E6, which held the “best TV” title on our lists so far. 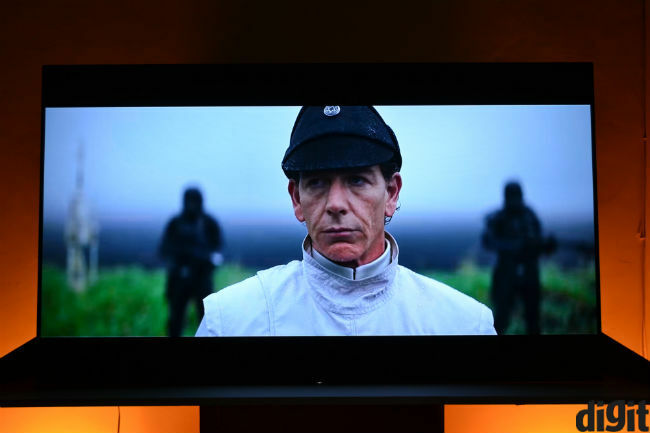 Of course, high contrast is no surprise coming from an OLED television. Samsung’s QLED technology is aimed at enhancing colour space, but truth be told, Sony’s television looks more natural. The OLED A1 presents vibrant, yet natural colours, that are pleasing to the eyes. 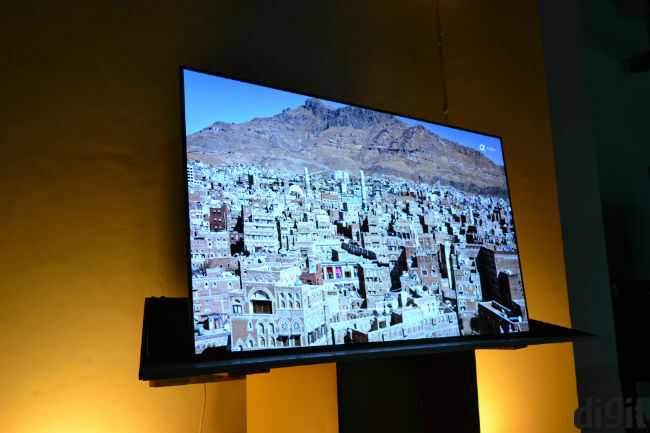 If you can bring HDR or UHD content, this television will do justice to it. HD content doesn’t work overtly well with this TV, but anything above that should do well. The A1 is especially good at denoting closely matched colours, and shadow details are very well presented, even on standard dynamic range. Watching Game of Thrones in FHD, Daenerys’ dragons seem much more lethal, real and defined on the OLED A1, than they did on others. Picture is quite sharp, which is often something televisions lack. To get the best picture quality out of this TV, I’d suggest dimming the lights in your room. Also, if you’re not calibrating the display, the preset cinema mode on the television should suit most users’ viewing needs. Sony is using two comparatively new technologies on this television. OLED is of course the first, while how the TV produces sound is the second. The company has put tiny transducers behind the screen, which vibrate the entire screen to produce audio. There’s also a sub-woofer in the kickstand, that handles low frequencies. Sony calls this “Acoustic Surface” technology, and it actually works. Granted that the A1 isn’t as loud as some other TVs, including Sony’s own X9350D, but it makes up for the same through richer audio output. Explosions will sound more real on this television, dialogue is crisp and it even suits listening to music to some extent. It’s loud enough for a medium sized room. 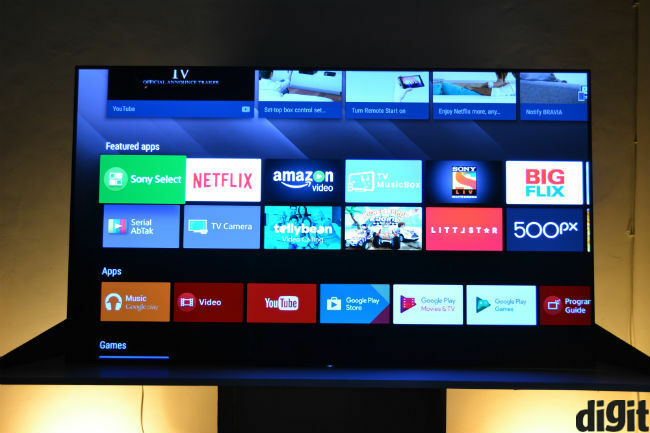 Sony was the first to jump onto the AndroidTV bandwagon, and it has stuck through the evolution of the platform. Today, AndroidTV is much easier to use and faster, but I must still complain that it’s not fast enough. You have to see the loading circle one too many times, which makes for a somewhat sub-par experience. I would also question Sony’s choice of weaving the AndroidTV remote into its own and not providing touchpad-based systems for its flagship TV. Typing is irritating, as is navigating at times. App support is fine, giving you access to essential apps, but not a huge collection to be sure. Barring some minor flaws, the Sony Bravia OLED A1 is almost certainly the best television in the market today. It combines excellent picture quality with good audio and a premium, sleek and beautiful design. When money’s no bar, this is the television you should buy. Period.